The stunning wine rack is manufactured from a tensile sustainable American oak which is sourced from sustainable forests in the US. The overall finish is a hardwearing waxed finish which brings out the natural beauty and characteristics in the American oak. 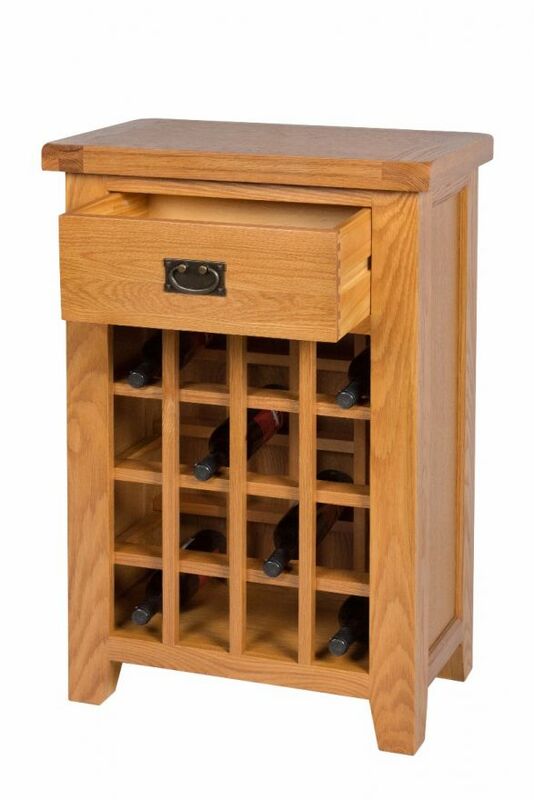 This excellent value for money wine rack is a welcomed edition to our best selling Country Oak living / dining furniture range and is sure to be a fantastic edition to any household. Supplied fully assembled to ensure you can start enjoying your new piece of furniture as quickly as possible. 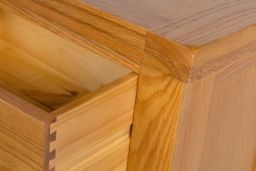 The drawer is manufactured with dovetail joints to ensure quality and durability. A beautiful piece of furniture that competed my dinning room fantastic quality. Will have no reservations about buying from them in the future. Great piece of furniture. Service and delivery was excellent. Will be buying more at later stage. Exactly what we wanted fits perfectly in the space we wanted one . Great quality and Value . High quality product at a very competitive price. Excellent service from the company. Very impressed and will definitely use this company again. Purchased the wine rack for a great price, a high quality product. It was very easy to order from the website. Went to the show room in person to pick up the wine rack rather that wait for delivery slot, all went well, very nice people to deal with. Would recommend doing business with this company. Gordon McNIe Warrington, Cheshire. Great addition to the dining room and somewhere to put bottles to free up work space and a handy draw to put more clutter in! Straightforward website for browsing & ordering. I was phoned by a friendly lady within 2 days to arrange delivery & it arrived on time & I damaged. Given previous bad experience with other, similar online companies I am very impressed with this one.